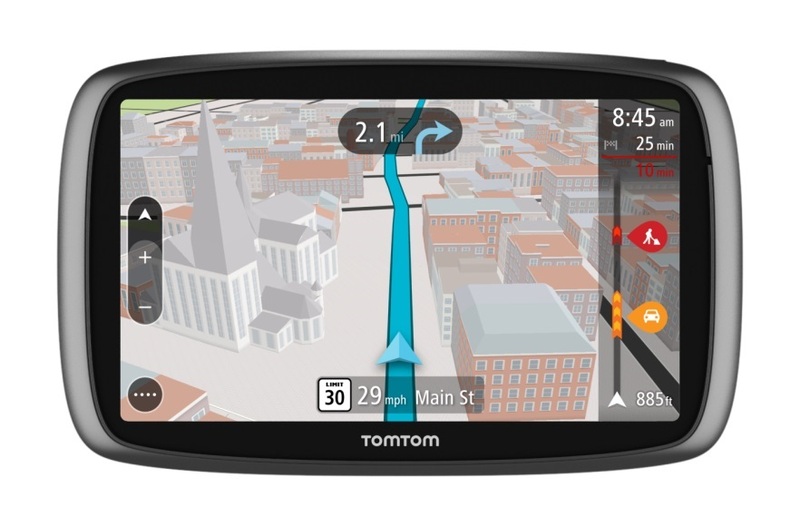 TomTom Rider 400 is one of the latest devices introduced by the Dutch GPS manufacturing company, for motorcyclists. 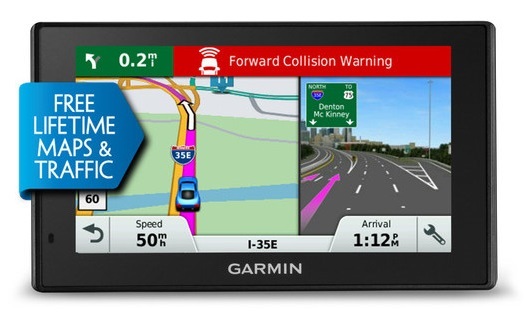 It is a very simple, user-friendly GPS, great for the beginners, available with mounting system, power cable, and user guide. The device is a great friend when you are planning for either a one-way or a round trip and is great fun to explore with. A 4.3-inch screen display with sharp color contrast. A Bluetooth communicator which allows you hands-free calling and listening to spoken directions while riding. The route navigator provides you the with a hilly route where you can feel the thrill of the ride, rather than just a simple highway. Also, it lets you know the points of interest such as gas stations, ATMs, food zones, etc. With the real time traffic sensing option, you can sense the traffic on the route ahead and can plan the way accordingly. It provides visibility in both, landscape and portrait view. It has a battery life of 6 hours and the power cable allows it to be connected with the motorbike which uses the bike’s engine to draw the power after that. The device comes with the option of visibility both in Portrait and Landscape view which makes it possible to get aware of more number of upcoming turns while being held in Portrait view. 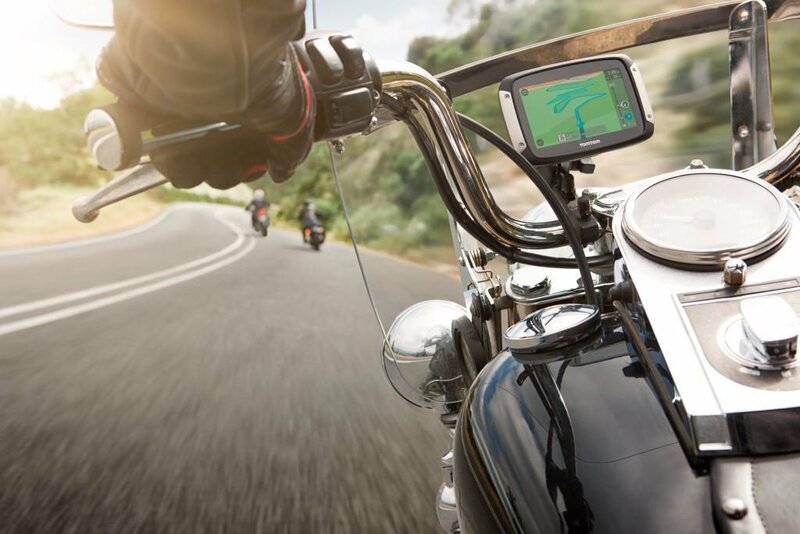 The device comes with an easy mount system on the motorcycle and can be rotated according to the user ease. The device helps you create an exciting adventure for yourself. It does not carve out the simplest possible route, which is the fastest way to reach to the destination, but the feature “Plan a Thrill” route lets you plan the most windy route for gushing the veins with adrenaline. 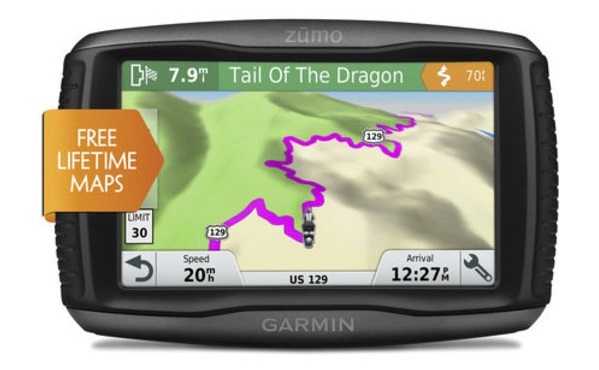 Although, it is a GPS device yet it allows you to function as amazingly as a smart phone does. It has a touch screen which provides the features of zoom and swipe, the same way like a smart phone provides. 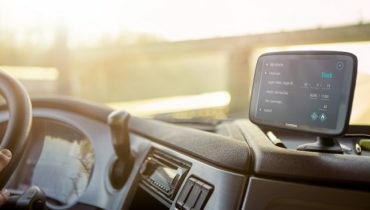 With the Bluetooth connectivity, you need not face distraction from the roads while answering any call. It also allows you to make and answer calls without making use of your hands. Also, if the directions become difficult to understand on the screen, you can try the option of spoken audio instructions directly via the Bluetooth. With this device, you will never have to face the problems of blocked roads since it tells this in advance. It comes with the facility of free lifetime map updates of 45 European countries. This feature is great and not often seen anywhere else. The feature Speed alerts indicates you well in advance about any speed limitations, while you reach in high-traffic areas such as hospitals or schools. It lets you share the route with your friends either before you set off on it or after you are back from a ride. You can even share your experience of the route with them. The buttons are slightly small which makes it difficult to click the correct one while wearing the gloves. It also becomes difficult to type while wearing the gloves. The buttons needs to be a bit larger for facilitating the use. Although, it is user-friendly, it becomes less fascinating with time for the adventure seekers. 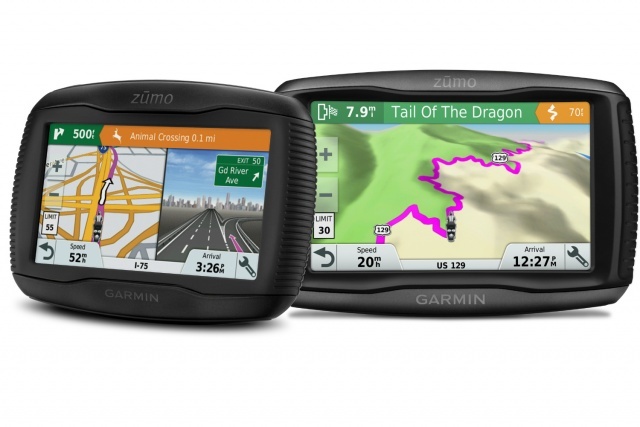 TomTom also has some of the other versions for motorcycles such as TomTom 40, TomTom v5, TomTom GO series for the bikers. I would recommend this product seeing the amazing visual graphics and user friendliness. Also, I would say that although it is a little costly than the other versions it is far more cheap to its competitor, zumo 595LM. The feature “Plan a thrill” will surely turn out to be fun for all the bikers and the feature TyrePro will let you create a tour on your PC. Further, it is also weather proof which is an added advantage for the bikers. 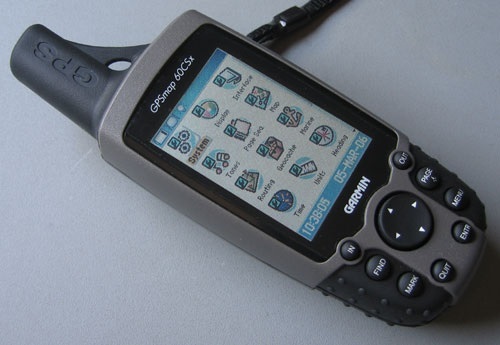 You can use the GPS in the rains without difficulty.